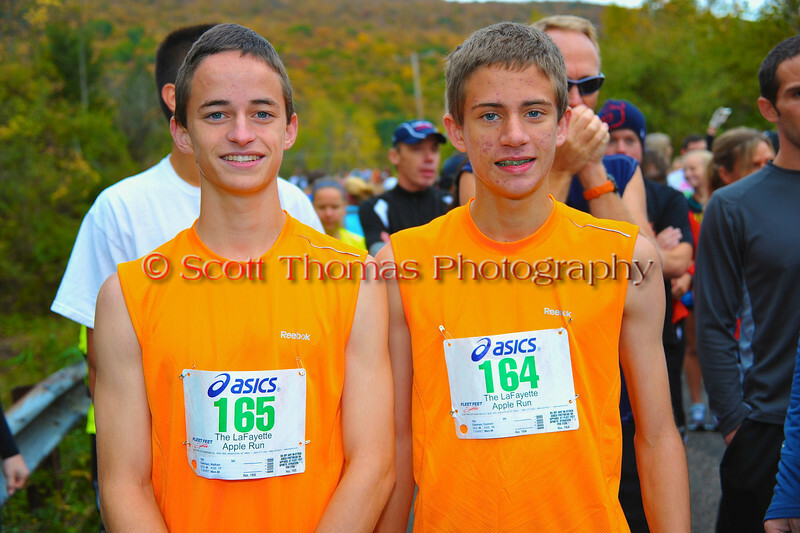 Photographs from the 2012 Apple 5K Run event at the LaFayette Apple Festival on Sunday, October 7, are posted in this gallery. $5 Photo Downloads for Facebook, Twitter, Google+ or other Social Media profiles. Select the Download Tab after clicking the Buy button. Click the Buy button above the photos to order one or more than one. (Note: The copyright watermark will NOT appear on the final prints or gift items.) There's a selection of different print sizes and photo gifts (click Merchandise tab). For photo packages, select Photo Package in the Buy menu. Have a question? Click the Contact link at the top of the page to email Scott Thomas Photography. Thank you for your interest and let us know how you feel about the item or items you purchased. 2012 Apple Run 5K at the LaFayette Apple Festival, LaFayette, New York.